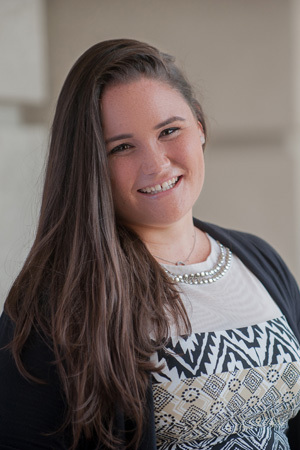 George Town, October 18, 2015 – The Young Caymanian Leaders Foundation announces that Kellie McGee, 27, of Savannah, has been named the YCLA 2015 recipient. The Awards ceremony, held on October 17 and televised live on Cayman27, marked the 15-year anniversary of the YCLA programme. During its 15-year history, the YCLA has recognised 75 outstanding young leaders who serve as role models for the youth of Cayman. Chris Duggan of the Young Caymanian Leaders Foundation, was emcee for the evening. Guest speaker Debra Searle, MVO, MBE, told the fascinating story of her 90-day solo journey rowing across the Atlantic Ocean. Kadi Merren-Pentney, the 2014 YCLA recipient, delivered her parting remarks against the backdrop of a slideshow featuring highlights of the year she has just concluded, in which she met with and addressed more than 5,000 students in all three Islands. Nominated by Chevala Burke, one of the five YCLA 2014 finalists, Kellie McGee is an Associate in Pharmaceutical Operations with Ironshore Pharmaceuticals and Development, Inc. and is a consultant to the World Health Organisation. As a teenager she received a United World College Scholarship to live and study in Swaziland for two years, where she worked in local hospitals, children’s homes and orphanages, and helped build homes for single mothers. She has since been extremely active in charitable and community work throughout the Cayman Islands. Kellie McGee is currently International Service Chair for 52 Rotaract Clubs around the Caribbean, and is Service Director for Rotaract Blue International. She is a 2015 graduate of Leadership Cayman, in which her classmates elected her as valedictorian. Kellie has been involved in numerous fundraising efforts for charities, and is a former Key Club Lieutenant Governor for the Cayman Islands. She went on in her acceptance speech to talk about the importance of mentoring, telling the story of a young man from Lesotho who became her mentor in Swaziland during her time there. Growing up in a large family in extreme poverty, “he learnt the meaning of sharing at a very, very young age,” she said. “Early in his life, he encountered mentors who saw potential in him, even though he had nothing, and they were supportive of his every decision throughout his development.” Thus encouraged, the young man had received the same scholarship that Kellie McGee had received as well as many academic distinctions, and so he became her mentor in math and chemistry, and was later offered a full scholarship to Harvard. The Foundation thanks this year’s sponsors, including Dart, PricewaterhouseCoopers; CNB; KPMG; Pinnacle Media; Progressive Distributors; Baraud International; Scotiabank; Celebrations; The Ritz Carlton; and the Tibbetts Family Foundation (JEM). Celebrating its 15th Anniversary this year, the Young Caymanian Leadership Awards programme has as its mission to identify, celebrate and honour outstanding young leaders in the community who, through their actions, behaviour and leadership, serve as role models for the youth of Cayman. Candidates are nominated each year from members of the public and are open to any Caymanian between the ages of 20 and 35.